I painted these characters on Stories bar in Broadway market, using the white window structure and blue background that were already existing. The composition include two couples drinking and having fun, and a pug dog looking out. 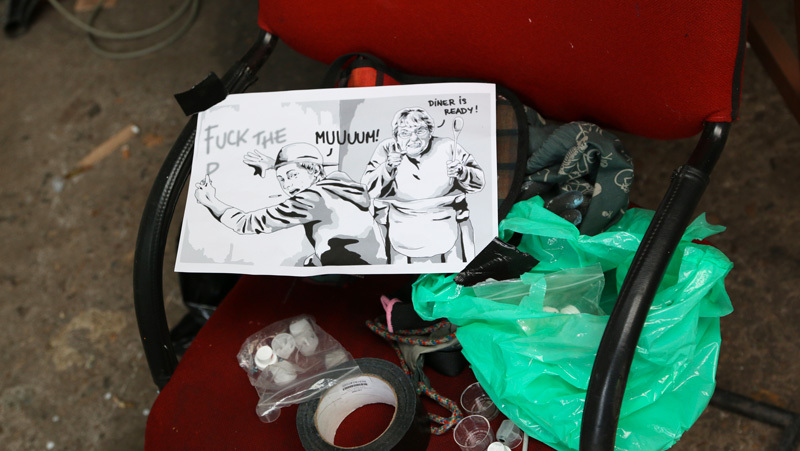 The wall was organised by Happenstance who has curated an exhibition featuring five artists and taking place inside the venue. Feeling really honoured to be featured on the cover of London-based magazine Courier. 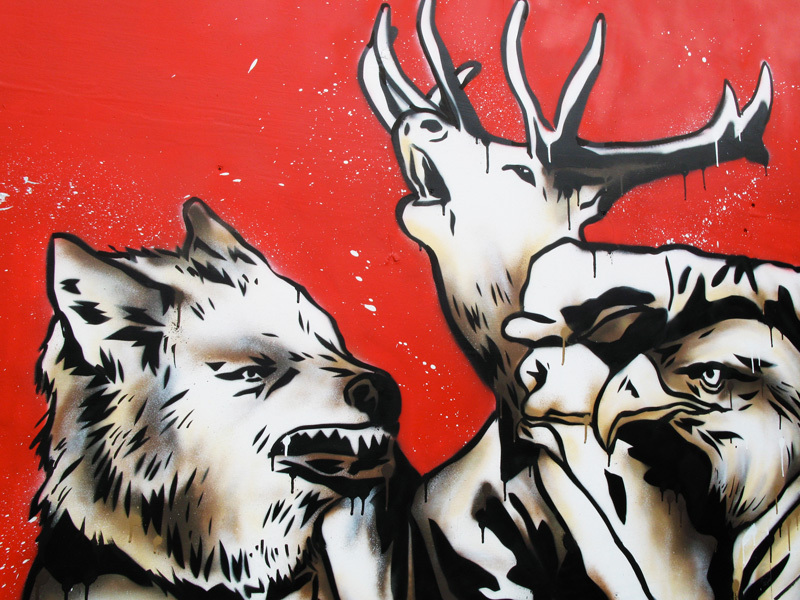 Their fifth issue explores the evolution of street art into a multimillion pound industry. It looks at how social media and urban gentrification has taken street art into the mainstream, shaken up the art market and made superstars of the A-list artists. Yesterday, Birmingham hosted for the first time an exciting event that gathered more than a 100 street and graffiti artists: City of Colours. 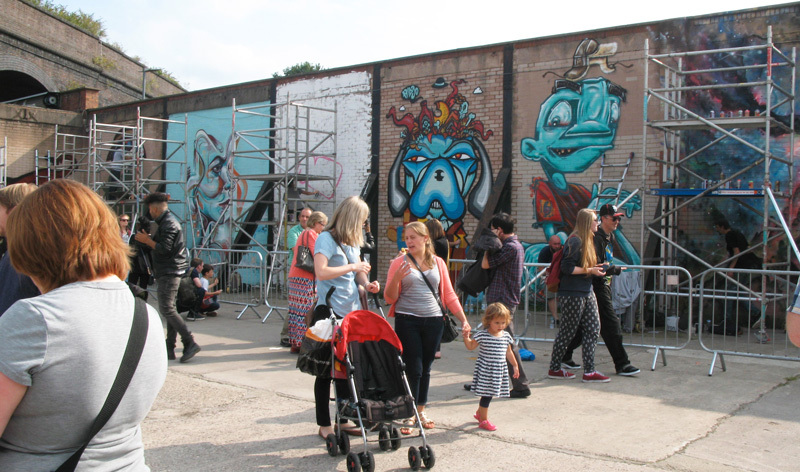 Taking place around the Custard Factory in 10 different locations, the event also featured tours, live music, street food, workshops and an affordable art fair. 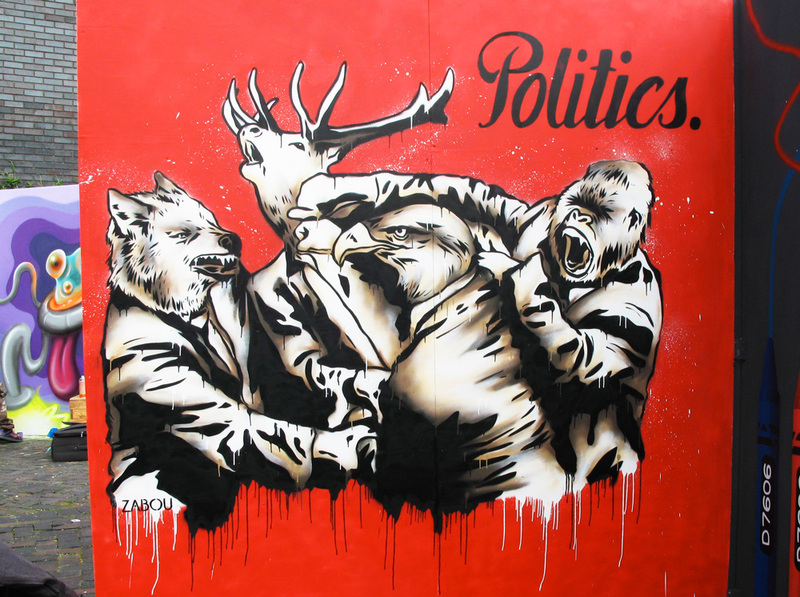 For the occasion I painted this piece featuring four animals wearing suits and fighting, which is inspired from an actual image of politicians fighting. I used shades of browns and a red background that enhances the violent atmosphere. 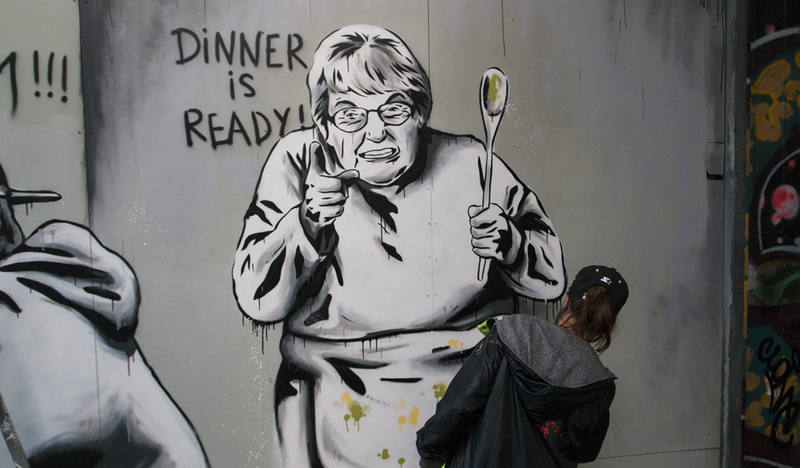 “Dinner is ready” is a funny piece painted for the 8th edition of Paint and Beer Festival (organised by Snub23) in Amsterdam. The event gathered 35 artists from all around Europe in a large warehouse on Saturday 29th. 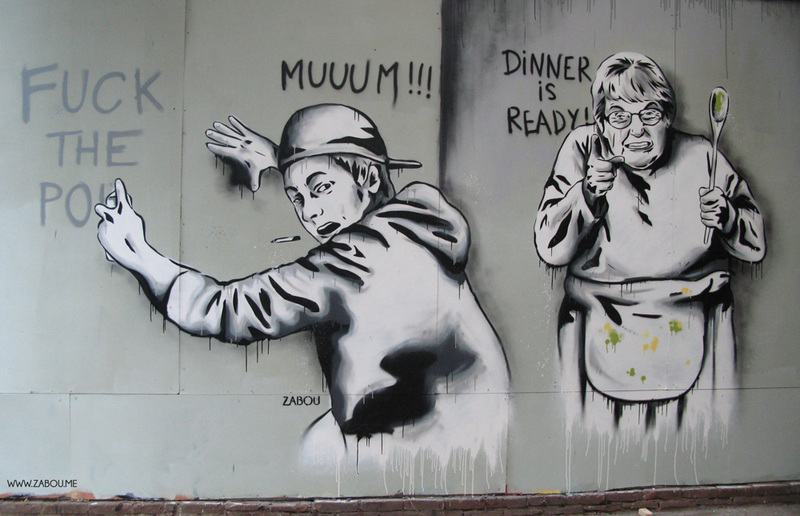 My piece depicts a teenager doing graffiti who is caught by his mum.